This advanced course is designed to enhance SMAW welding skills and prepare students for taking a structural steel welder performance qualification test(s) in accordance with the requirements of the D1.1 Structural Welding Code- Steel published by the American Welding Society. Monday & Tuesday 5:30 – 8:30 p.m. This advanced course is designed to enhance SMAW welding skills and prepare students for taking a structural steel welder performance qualification test(s) in accordance with the requirements of the D1.1 Structural Welding Code- Steel published by the American Welding Society. This 12 week session is predominantly hands-on practice with instructor supervision using the SMAW process in various welding positions, but students will also learn and understand basic welding symbols used in the trade. 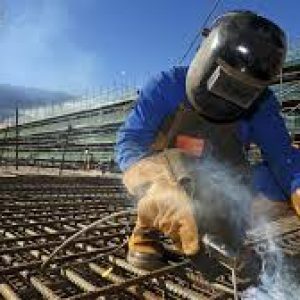 Upon completion of the course students who feel that they have achieved sufficient proficiency can schedule a welder performance qualification test(s) in the 2G, 3G, and 4G positions using 3/8” and 1” single groove welds with backing. 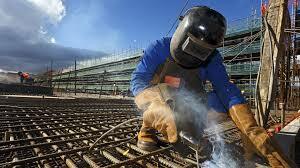 We will also touch base on the Gas-Metal-Arc and Flux-Cored-Arc welding practices. Note: It is strongly recommended that students have significant prior welding experience or have taken the SMAW Level I course as a prerequisite for this course. Students are expected to wear leather shoes or boots, a long sleeve shirt, and safety glasses.